Aishling holds a BA in Geography and Economics from NUIG and a Postgraduate Certificate in Education from the University of Oxford. Aishling is a trained teacher and has worked in the field of education since 2007. She worked as a post-primary school teacher in inner city London from 2007-2012, teaching geography and economics. Aishling completed a MSc in Sustainability Science and Policy at the University of Maastricht in August 2013. She believes that engaging young people with issues related to global justice, can help to empower them to become active global citizens for a more just and sustainable future. Rita has been working for over twelve years in international development and community development in Ireland and has worked directly with schools in the delivery of DE. She holds an MA in the Sociology of Development and has worked with two international NGOs over the past decade, including working overseas in East Timor in a project delivery capacity. Rita has more recently worked with Self Help Africa in a project support capacity for overseas country programmes, including Ethiopia and Malawi. Rita has extensive grant management experience having spent five years working with Pobal on the disbursement of grant funding to an extensive range of community and voluntary groups across Ireland. Postgraduate Diploma in International Development at Maynooth University (formerly Kimmage). Lisa previously worked with Plan International Dublin in a Business Development role. While there she visited programmes in Burkina Faso, she also visited Uganda as a volunteer in 2016. Lisa believes engaging young people in local and global issues is critical. Not only can this benefit themselves in becoming active global citizens, but this also benefits their communities and beyond. Lisa would love to see Global Citizenship Education even more widely available to young people in Ireland. 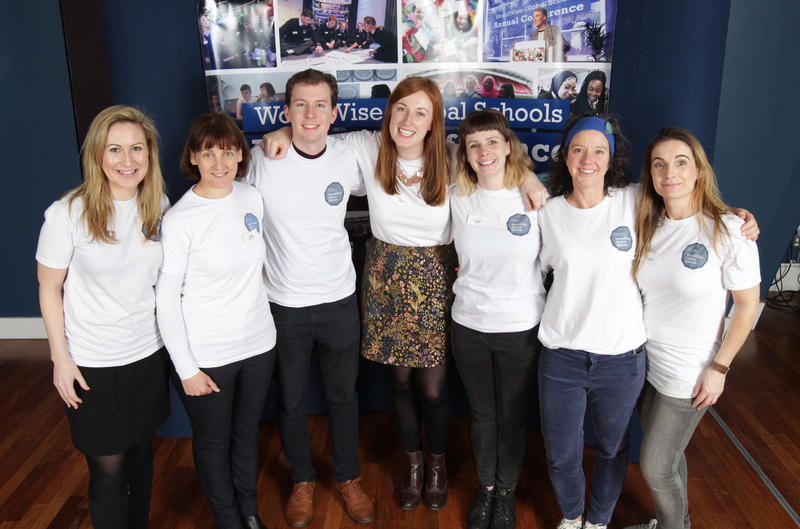 Lizzy has been working with schools on Global Citizenship Education and campaigning for over fifteen years. She represented Ireland on the European Development Education Forum for four years, and has been a member of the steering group of the Global Campaign for Education, Stop Climate Chaos and Act Now 2015 for many years. She has headed up three EU funded projects: Stop Child Labour 1 and 2, and Food Right Now. She has worked with Concern Debates and is the founder of the Concern Campaign Academy that engages students in DE and campaigns. She believes that DE can fit in to every subject area and would love to see the day when all young people in Ireland have access to Global Citizenship Education on a regular basis. Laura holds an MSc in International Humanitarian Action and has been working in Global Citizenship Education since 2010. During this time Laura has coordinated a range of youth programmes both in Ireland and the Global South. She has a broad range of experience in project management and recently spent a year in The Gambia, West Africa coordinating a pilot ‘Youth Engagement and Participation’ project with the regional government and local partners. Laura has also worked directly with young people, teachers and leaders to support them taking action on local to global justice issues. Laura believes that quality Global Citizenship Education has a vital role to play in empowering young people to become global agents for change, in order to challenge and transform inequality and injustice. Aoife holds a BA in International Marketing & Japanese from DCU and a Postgraduate Certificate in Education from NUIG. Aoife is a fluent Irish speaker and completed a Masters in Teaching Languages through the medium of Irish with NUIG in 2011. She has over 12 years of teaching experience at post-primary level in Ireland and has also served as a teacher and principal of Irish summer colleges for a number of years. From her experience at post-primary level, Aoife considers Global Citizenship Education to be an invaluable area of learning in helping students build an awareness of global issues and nurture in them a deep interest, respect, and desire for positive change in our global community. James holds a B.A. in Mathematics from Trinity College Dublin and as a student worked with Trinity Development & Alumni, a department that supports the college’s research, outreach, and educational programmes. He was an ambassador for the Trinity Access Programme, an organisation that helps students from socio-economically disadvantaged backgrounds access third-level education. He considers the widening of access to education in all its forms to be of extreme importance and believes that Global Citizenship Education is crucial in allowing students to actively tackle systemic injustices, and allows them to develop an awareness of the impact that they can have on the world, both on an individual and a collective level. From interning in a number of companies in the utilities, telecommunications and I.T. sectors, he has also learned the importance of maintaining quality data in the planning, execution, and review of organisations’ activities and has developed a passion for building systems that suit the needs of those that use them.